Although the Nikon D500 is newer, the extensive line of EF and EF-S lenses the EOS-7D Mark II can utilize is still coming out on top, in my opinion. I expect Canon to come out with a major firmware upgrade some time in late 2017 or early 2018 to keep the camera competitive. 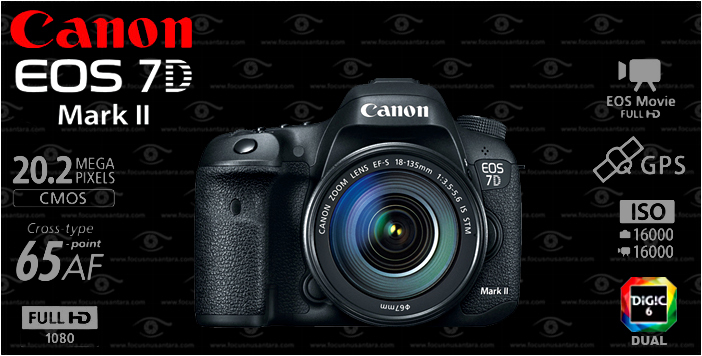 In the meantime, Canon has released a new firmware for the Mark II to take care of a few minor bugs. If using a Wi-Fi adapter/W-E1, the camera’s nickname will be reset to default when you perform this firmware update, so please reset the nickname before using the camera.